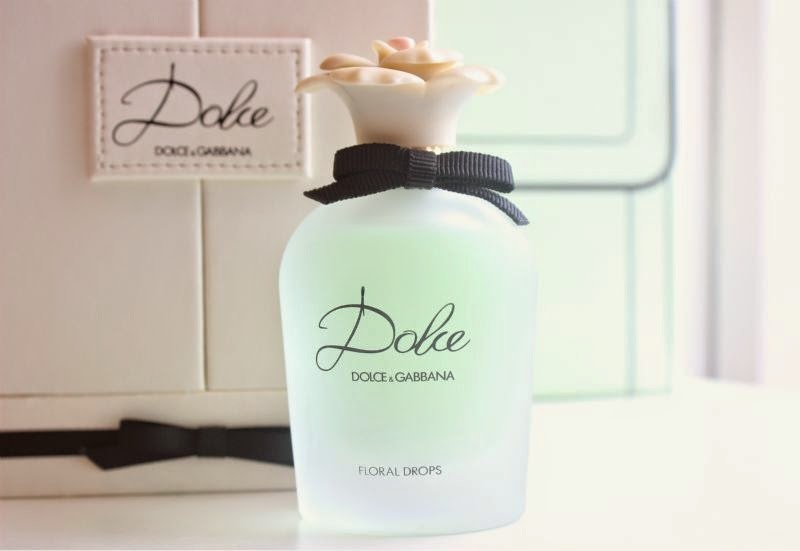 "Dolce Floral Drops has the rare beauty of a fresh, floral scent. 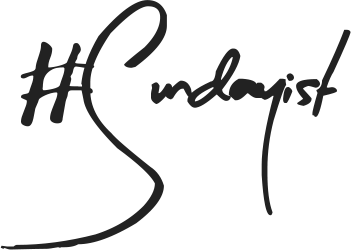 The Eau de Toilette is inspired by the notes of Dolce Eau de Parfum, preserving it’s harmonious signature of white flowers, with a heart of White Amaryllis. 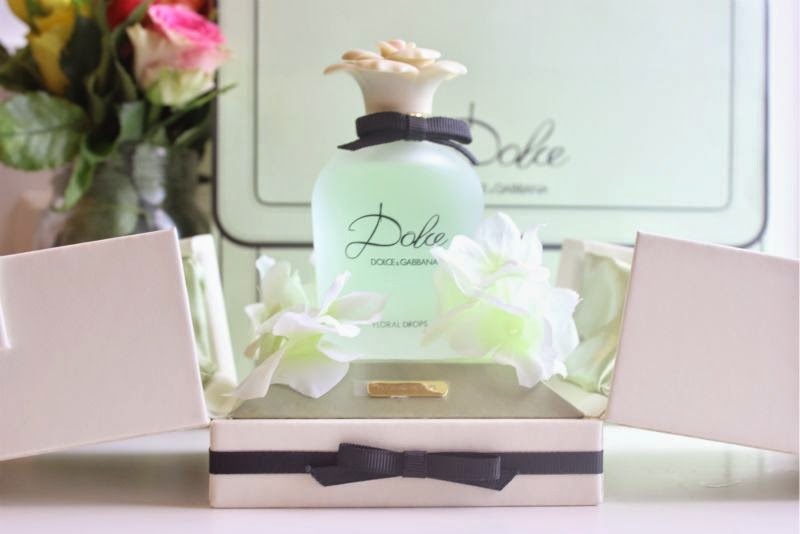 Dolce Floral Drops combines these ingredients with the lively and crisp green opening of Neroli leaves, that enriches its character and defines its freshness right from the opening of the fragrance. The Dolce Floral Drops bottle recalls the unique shape of Dolce: thick glass, curved lines and a solid bottom, with a cap in the shape of a sculpted flower with milky white petals. Frosted glass gives it a misty green colour, presenting a dew-kissed tone, and expressing the fresh delicateness of the fragrance." 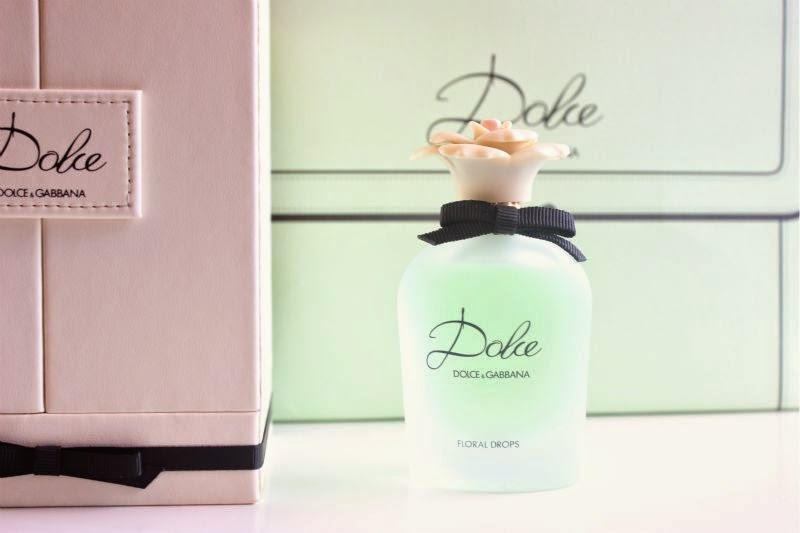 Dolce Floral Drops is reminiscent of the original Dolce fragrance - a white floral that is slightly aquatic with hints of green notes, I would say this is lighter and fresher than its predecessor. Refreshing yet delicate, like a light Spring rain on a mild, sunny day or perhaps a morning dew. 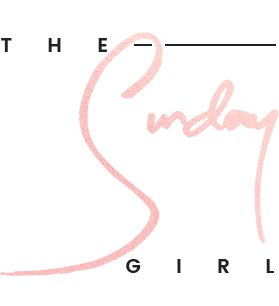 One mist of this will have you longing for pretty pastel clothing and being able to ditch your Winter coat once and for all. It is very much a young fragrance which I personally enjoy and would say that although they do not smell anything at all alike fans of the likes of Marc Jacobs Daisy Daydream will lap this up as will those who enjoy the original Dolce Eau de Parfum. This will undoubtedly be my go to Spring scent for 2015. I can't think of a better quote to sum up this beautiful new fragrance than this - “Dolce Floral Drops is fresh and light, yet as precious as a morning caress.” - Domenico Dolce and Stefano Gabbana. When the original perfume first came out it really appealed to me and I was so tempted to ask for it for Christmas - glad I didn't though as my best friend just got it for her birthday haha! This is such a stunning bottle and the presentation is flawless! It sounds like a very young and fun scent, which is definitely up my ally. That bottle is so pretty! Might have to include this on my wish list! I love the original so can't wait to try this. The packaging is so cute!